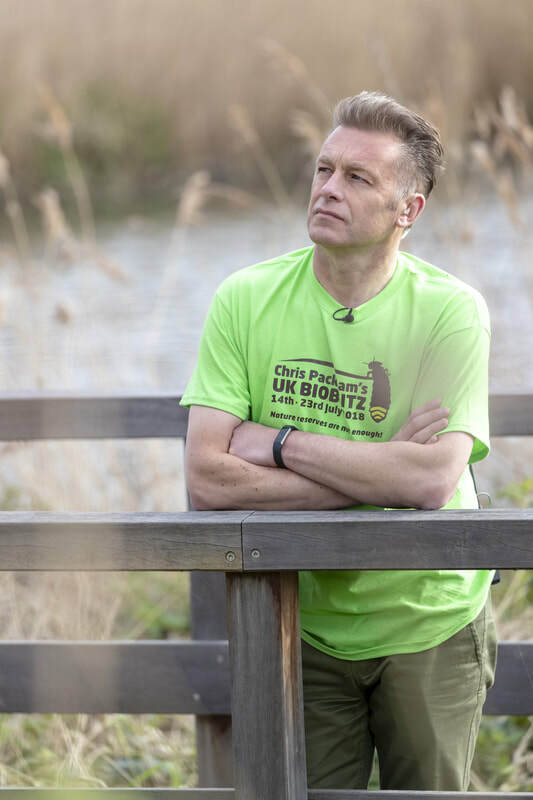 Chris says, "All funds raised will be distributed to some of the projects listed below for the vital conservation work they do for our wildlife, and a portion will also go to the National Autistic Society, helping people to reach their worth." “Nature Reserves Are Not Enough”​. 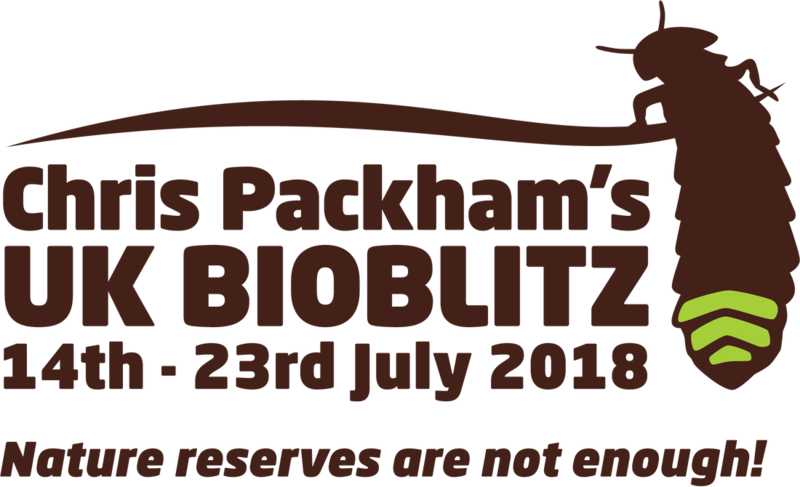 With the help of regular volunteers, wildlife groups, species and habitat specialists, Chris and teams of experts aim to bioblitz sites, whereby the species discovered count towards a final total. 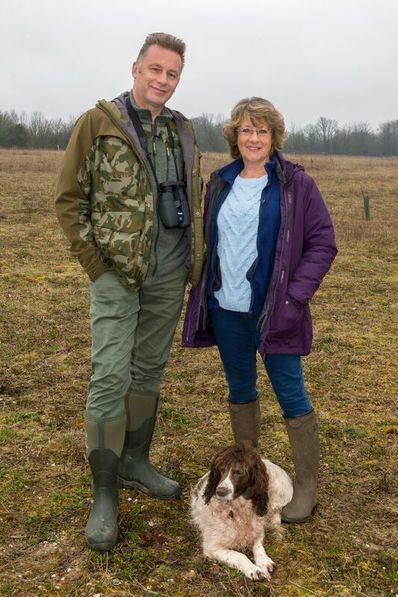 All funds raised by crowd-funding will be donated to The Autistic Society and to Conservation. 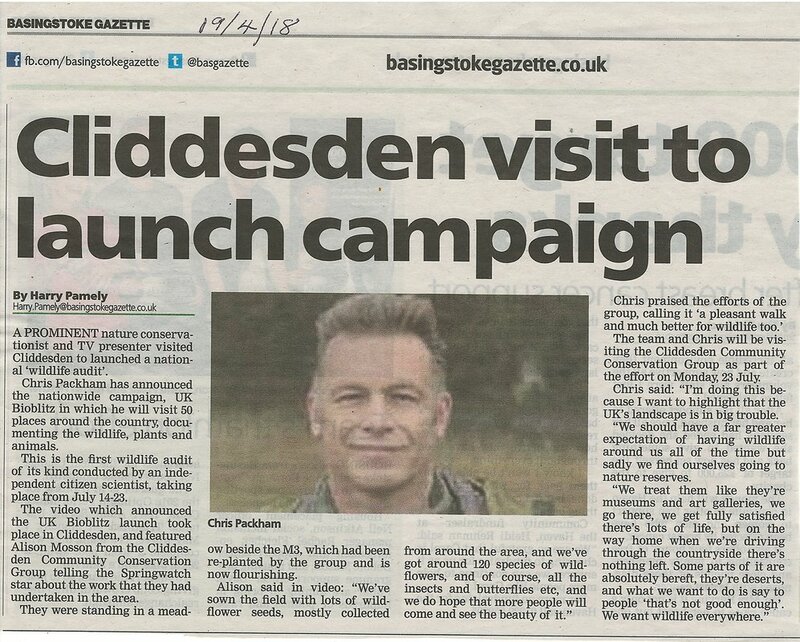 Chris visited us in March 2018 to film his promo video for the campaign, and look who were his extras! On one of the hottest days of the year we blitzed the meadow, recording all the species of flora and fauna we could find. We came up with a total of 386 species which is just a snapshot but immensely satisfying. Thanks to the lovely ladies in the village we were well supplied with homemade cakes and hot and cold drinks to keep us going. Thank you to all the taxon experts and data recorders who bravely combatted the heat (30 degrees C) and made the day such a success.